When I was 19 my friend @jake_georgi and I travelled to Sicily to make a book of photography (mine) and writing (his). David's Sicilian relatives welcomed us by renting us a car to drive around the island for six weeks. 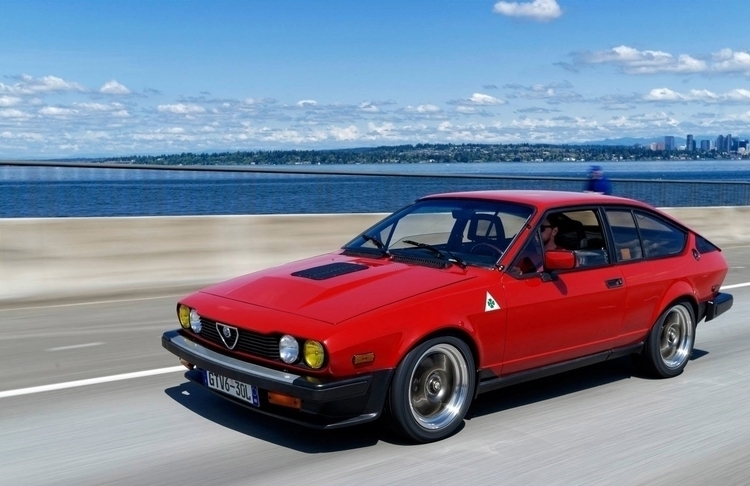 In true Italian style it turned out to be a late model 1980's Alfa Romeo GTV6 that looked a hell of a lot like this one. It even had that awesome black rectangle in the center of the hood. Why they thought giving two broke teenagers a bright red V6 four-door was a good idea, I don't know. But it was a very good idea. We took turns driving. Along the way we heard about a small town in the mountains where it was rumored the most beautiful women in Italy come from. We talked about it the whole trip — but when we got there all we met were old men, who bought us coffee and grappa. The women were hidden from us. What's your favorite car of all time?